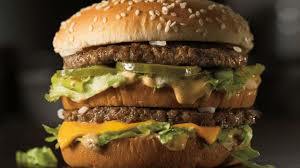 Man Calls 911 Because McDonald’s Put Onions On Big Mac!! According to Metro, McDonagh, who had been drinking prior to visiting the McDonald’s, threatened to fight the manager before calling police to report the mixed-up meal. It’s truly baffling that some folks (especially this man being 53 years old) do not know how to resolve a fucked up order at a restaurant!! To be honest this fuckery isn’t too shocking to us due to the fact that we’ve seen a few incidents of fuckery like this in the past… View the see also links below for similar incidents of fuckrey. see also:Burger King Customer Calls 911 Because BK Wouldn’t Honor Free Whopper Coupon!! see also:Canadian Woman Calls 911 Because Pizza Was Not Ready On Time!! see also:Woman Calls 911 To Complain That Her Chicken Nuggets Weren’t Cooked Fast Enough! !